As a relatively new casino on the market, Vegas Hero brings a commitment to lightning fast withdrawals, powerful promotions, free spins and bonus boosts. But do they deliver, or are they on course to become public enemy number one? Find out below. So far so good then, the first deposit isn’t huge, but it’s perfectly adequate, and the number of games is decent too. Let’s take a look in a little more detail at how Vegas Hero perform. One of the first things you’ll notice about Vegas Hero is the cool, modern look and feel. The Las Vegas themed welcome graphic sets the scene, and the layout of the games is easy to digest. It’s becoming increasingly common for newer casinos to use a ‘hamburger’ navigation even on the desktop version of their sites. This is the three horizontal bars on top of each other that usually represent the navigation point on mobile devices. Vegas Hero are one of the brands who have embraced this, meaning the site works almost the same no matter which type of device you are using. However, this style of navigation could also be seen as a negative, since at first glance it’s not quite as obvious where to go to access other areas of the site. Once you do figure it out though, it’s pretty simple to use. 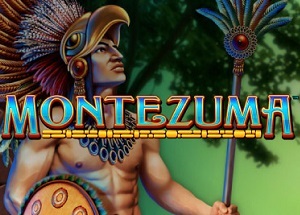 On your first deposit, you’ll receive a 100% deposit match bonus up to £200 plus 50 free spins on a nominated game. This promotion is open to all new players and only requires a £10 minimum deposit to activate it. 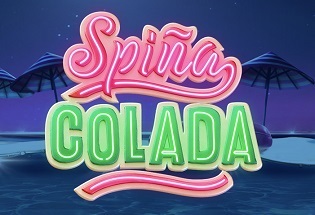 To receive the free spins, you’ll need to wager at least £5, and they’ll be awarded as ten each day for five consecutive days. There’s a 40x wagering requirement on the welcome bonus. In addition to the initial welcome bonus, there are further bonuses available on your subsequent deposits too. For example, you can get a 50% deposit match up to £200 on your second deposit, followed by a 25% deposit match up to £300 on your 3rd and 4th deposits when you use the correct bonus codes. There are also regular additional promotions such as power-up bonuses on specific days, cash drops, and free spins on newly launching games. 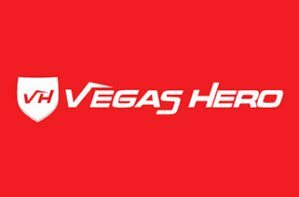 Vegas Hero offer a low £10 minimum deposit on all payment methods which makes it ideal for anyone who is playing on a limited budget. Better yet, there are no fees added to any of the payment methods and the deposit processing time is always instant. When depositing you can choose from credit or debit card, Entropay, Paysafecard, Boku, Neteller, Skrill, Trustly, or ecoPayz. Withdrawals are slightly more limited with credit or debit card, Neteller, Skrill, Trustly, and ecoPayz being the only options. On the bright side, withdrawals are always free and have a low £10 minimum regardless of the withdrawal method you choose. 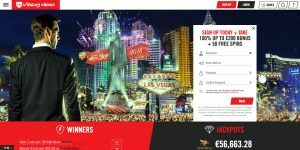 There is an excellent selection of games to choose from on Vegas Hero, and that is one of the stand-out reasons to sign up and play with them. In fact, at the time of writing there was an impressive choice of over 1,300 games to choose from. Slot lovers will enjoy playing games such as Starburst, Mega Moolah, and Jurassic World. Table game lovers won’t be disappointed either with plenty of variations of roulette, blackjack, poker, and baccarat to choose from. If big jackpots are what get your adrenaline pumping, you can take a spin on games such as Mega Moolah, Major Millions, and Hall of Gods to try your luck. There’s also one of the largest selections of live dealer games we’ve seen. So, there really is something for everyone. Vegas Hero may be fairly new to the scene, but they are no lightweights by any stretch of the imagination. They have a fantastic range of games for such a new brand and a good range of payment methods with low minimum deposits and zero fees. The layout and design is very modern looking and gives you plenty of confidence. While the navigation is also very modern and mobile-friendly, it may take you a moment or two to adjust to. The welcome bonus is pretty solid too. It may not be the highest out there, but it’s fairly good nonetheless and does have a high level of fairness about it. Overall, Vegas Hero is well worth checking out if you are looking for somewhere new and exciting to play. View all posts by Paul B.